Lend comfort during difficult times with a thoughtful gift from the heart. 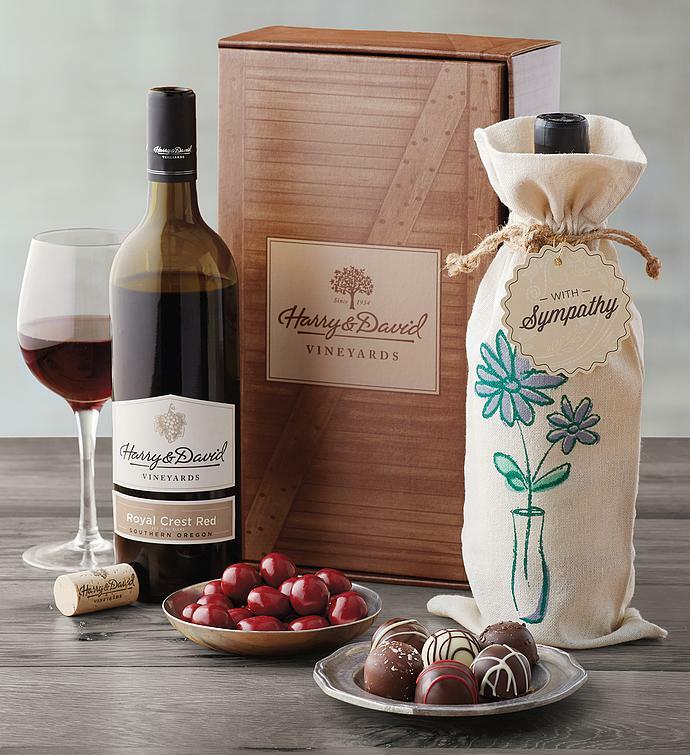 Accompanied by our signature truffles and chocolate-covered cherries is a bottle of award-winning Royal Crest Red blend in a decorative linen wine bag. We've also included a "With Sympathy" hangtag to help express your support.